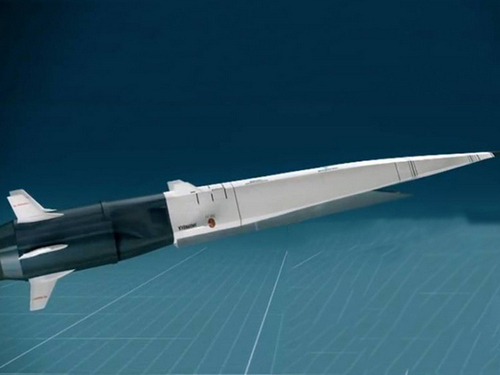 The Russian hypersonic rocket “Zircon”, the development of which is in the final stage, can drastically change the balance of forces at sea in favor of the Russian Navy. The military expert Alexey Leonkov told about this electronic edition of the Army Standard . Recently it became known that already before the end of the year the launches of the Zircons will be conducted by the frigate Admiral Gorshkov, and next year there will be a launch from the submarine. “Zircon” – Russian hypersonic anti-ship cruise missile. She will replace the Onyx supersonic missiles. By the way, the American ship’s air defense does not have effective means of intercepting Onyx. What to say about the “Zircons”, the speed of flight to the target is 8-9 times higher than the speed of sound. These missiles are invulnerable to the means of ship air defense and missile defense. And, according to Western military experts, the means of countering the latest Russian rocket will not appear in the next 10-15 years. Using 5–6 “Zircons” together with 10–15 “Onyxes” or “Calibers” will ensure the destruction of enemy squadrons. At the same time, Zircons will be the first targets, disabling ship systems and facilitating the task of destroying a ship. Then, the ships that lost the ability to resist will be finished off with “Onyxes” or “Calibers”. – There is such a thing – combat power. So, with “Zircons” it increases many times. Because they have more distance and about Onyxes – about two times, and the speed is about 2.5 times higher. “Zircon” has absorbed all the best from our anti-ship missiles. We have it, traditionally, heavy rockets. And this is the so-called pack of rockets. According to the expert, no one by one “Zircons” will not run – expensive pleasure. “They are designed to counter various groups of ships,” said the expert. – Be it aircraft-carrying shock groups, expeditionary corps, which have in their composition a significant number of ships. That is, “Zircons” are intended to act precisely in groups. Acting in the “flock”, the missiles exchange information among themselves. And they themselves choose the largest goals. First comes the defeat of ships of the 1st rank – for example, an aircraft carrier. Then, if the task is completed, the queue of vessels is smaller. According to him, the Zirkon complexes will operate in cooperation with the Dagger airborne missile systems and the Bastion coastal defense complexes. This arsenal will seriously limit the possibility of actions by foreign ship groups, pushing them to a distance of up to 2 thousand kilometers from our shores. Closer to them will be risky.